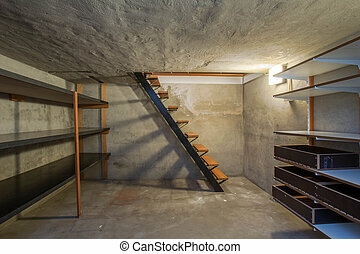 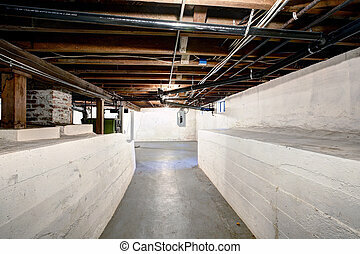 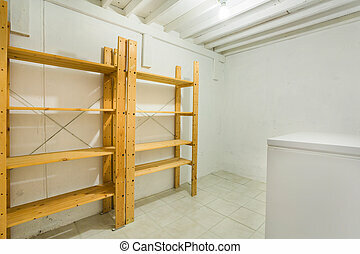 Empty basement in american house. 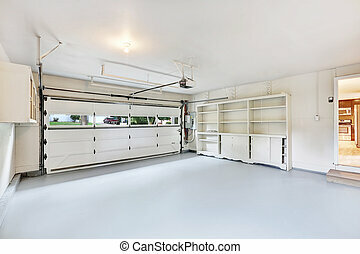 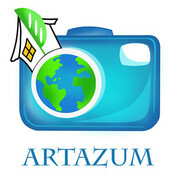 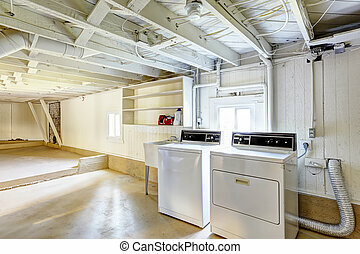 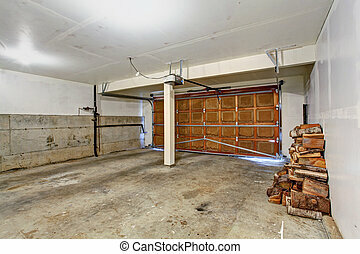 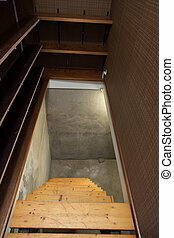 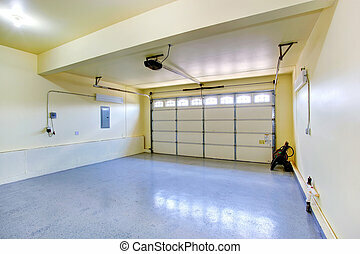 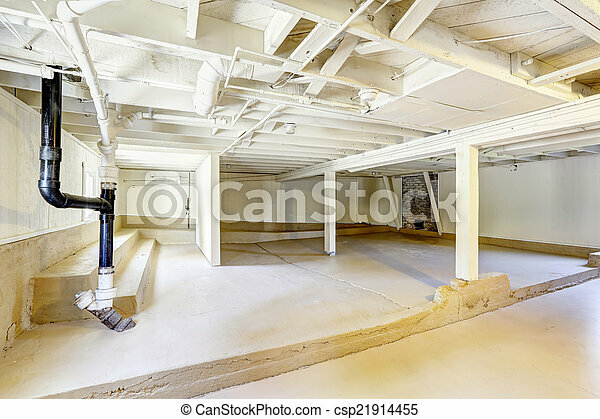 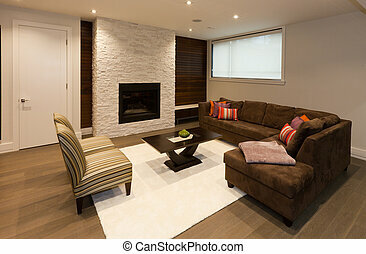 Spacious empty basement in american house. 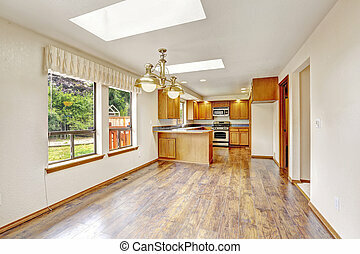 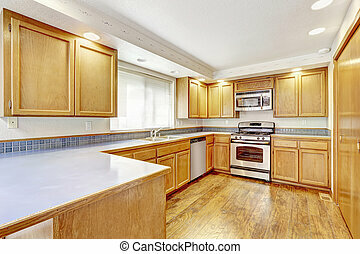 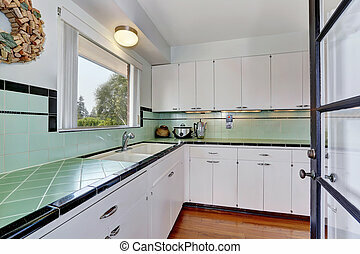 Bright kitchen in empty house with hardwood floor. 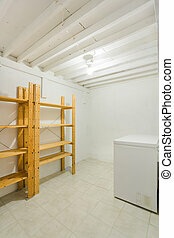 White empty simple old kitchen room with hardwood floor in American historical house. 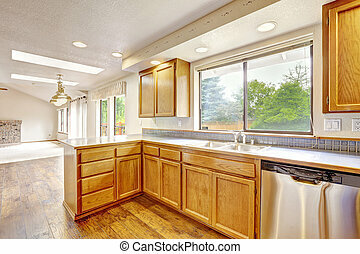 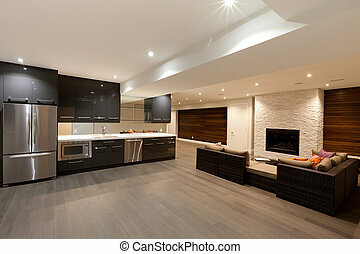 Kitchen area in empty house. 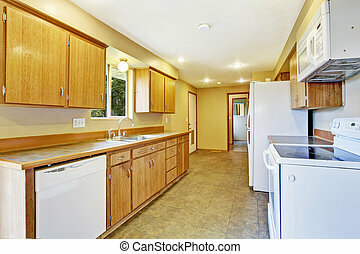 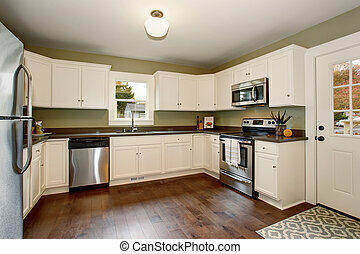 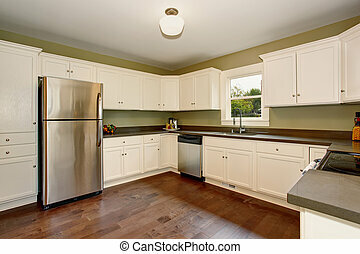 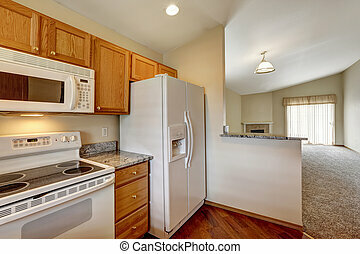 White appliances and wooden cabinet. 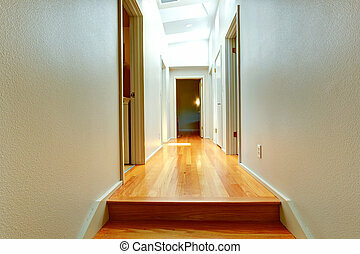 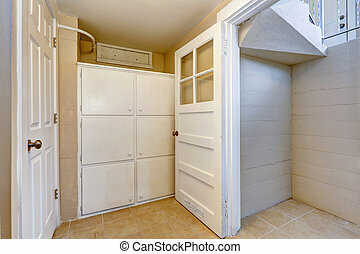 Entrance to basement with tile floor and white wooden door.